It’s hard to believe that spring is almost here. With a warmer than average fall we were still mowing turf into December which made for a very short off season. We removed about 70 dead Ash trees this year. The only place that you will notice the removals will be on the left of number 4. There were about 11 completely dead trees that we took out to make room for 15 to 20 new spruce and deciduous trees that will be planted this spring. The rest of the trees that were removed were in out of play areas such as the native area on the right of 4, along the fence line of number 7 tee, the fence line on number 9, and on the lake bank on 9 between the lake and the parking lot. We also removed the tree in front of the pro shop doors. With this tree and the ones on the lake bank gone, it opens up a wonderful view of the clubhouse when standing on the new tees of number 9. We plan on Gradening greens as soon as the weather breaks for good. 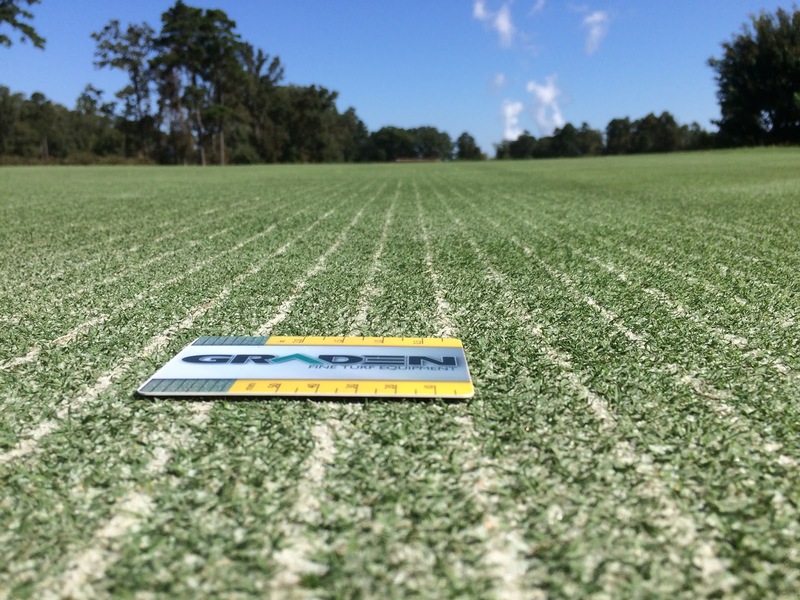 The Graden is a very aggressive verticutting machine that pulls out organic material and back fills the channel it leaves with clean sand. It can remove up to twice as much material compared to a single core aerificaiton. We want to try and complete this process before we open for several reasons. The first reason being time. This process is extremely labor intensive and will take several days to complete. 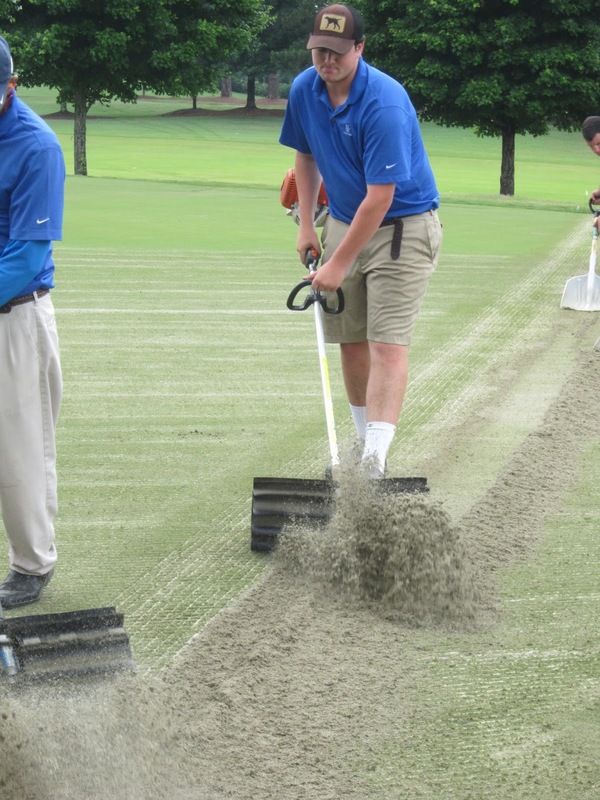 The crew has to maintain a constant delivery of sand to the hopper of the machine by carrying 70 lb buckets from vehicles parked on the edges of the green. On longer greens this could mean 3 to 4 buckets of sand per pass. Then once the green is completed we have to clean up all of the organic material using powered paddle brooms. These are rubber paddles attached to a string trimmer that brooms the material to the edges of the green. Once the material is piled on the edges it is then shoveled up and hauled off. By trying to complete this process before we open we can then aggressively grown the greens to cover up the lines without having to worry about playability. This will make for a better putting surface to start off the season with. 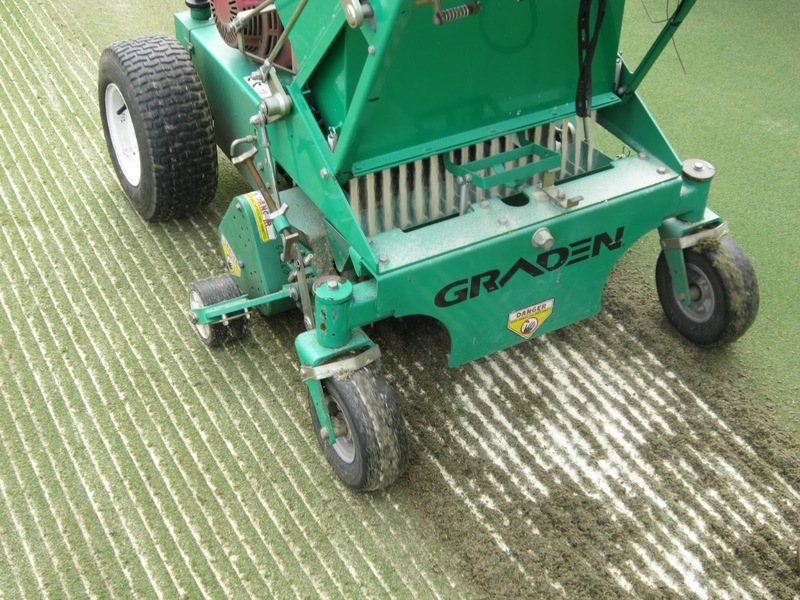 The benefit of the Graden over traditional aerification is that it removes more organic material and immediately fills 100% of all voids with dry sand. 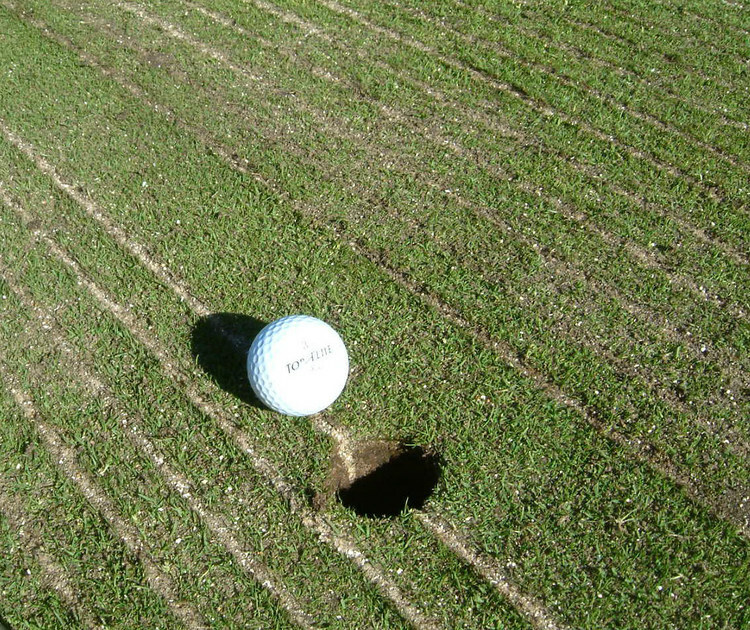 This makes for a better putting surface immediately after completion. The downfall is the tremendous amount of labor it takes to complete the process. Below are some photos that I have pulled off the web to show some of the processes. I will have more pictures once we complete the process ourselves next month.